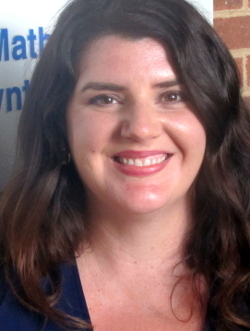 Meredith York is an Evaluation Specialist for the National Institute for STEM Evaluation and Research (NISER). She has been an employee of the University of Tennessee, Knoxville, since 2008 when she started in accounting at the Graduate School of Medicine. She later became a Business Manager and then Program Manager working on multiple grants for the College of Veterinary Medicine and then the College of Nursing as a Program Administrator. All of her program experience involved evaluation, which quickly became the favorite part of her job, leading her to investigate the field of evaluation as a next career step. York has a B.S in Business Management and an M.S. in College Student Personnel from UT and is currently a doctoral student in the Evaluation, Statistics, and Measurement Program in UT's Department of Educational Psychology and Counseling. Meredith enjoys reading, hiking, playing disc golf and taking her beagle mix to the dog park.